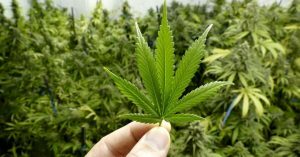 Home › Articles › Would you allow your children to visit someone who grows (and uses) cannabis at home? Would you allow your children to visit someone who grows (and uses) cannabis at home? Cannabis may now be grown at home and suddenly it is no longer a scandal or criminal hobby. At long last everyone can now do as he/she pleases, yet this development has a wider impact on issues that possibly might not have been considered. Regardless of legislation and court findings, things like conviction and lifestyle certainly still exist? Mindful life choices? Scenario: You disapprove of smoking and have no smoking friends or family and don’t allow any smoking on your premises or in your home. Your younger children want to go visit or sleep over at trusted family or friends (another issue) and you are reasonably sure that your young, developing child(ren) will not be exposed there to smokers and their habits. One can smell anyway, should this be the case. If you are strongly anti-smoking and want to leave your baby at a day-care centre, you will definitely also make sure that no smokers live of work there. Negotiable. What to do about growers of cannabis? For anti-smokers this is far worse than smoking. If they just want to grow cannabis and not smoke it (highly improbable) your sense of smell alone would immediately reveal the true state of affairs. You just don’t want to be with such people or have anything to do with them and you also don’t want to be tricked in this regard. After all, you also have rights! Regardless of clinical findings about what cannabis allegedly does and does not do at health level, there is the irrefutable subtext of what is (mostly) connected to cannabis, and what can emanate from being involved with cannabis in terms of people and their activities. Unfortunately, those who possibly mean well and those seeking physical wellbeing are also affected by this. The fact is that there is no control and/or certainty about the motives, actions and involvement (outcomes and impact) of those involved in the circle of cannabis growers. Personally, my children (young/older) will in no way with my permission be exposed to places, people or circumstances where cannabis (and what [may] accompany it) is doing the rounds in any manner whatsoever. I strongly believe that numerous parents and child carers agree with this. Will you in future therefore have to consider your friends, family and hang-out places even more thoroughly or simply confront them face-to-face with your enquiries? Will cannabis start redefining or grouping our friendships and families? One will definitely in the near future come across paper work in places of day care or after-school child stay-overs, which has to confirm whether this is a cannabis-free zone (like smoke-free zones) and whether personnel or employers abstain from cannabis. You also don’t want people who use cannabis after hours to work with your children. Parents may not be deprived of this right. Those with young children will have to insist on this when using such centres. What about teachers and other people who handle children? Au pairs and so forth, as in these cases the law cannot enforce selection on your behalf. You yourself now have to draw the border lines regarding what you consider acceptable near your children. One shudders to think that legislation might follow in the near future that forbids you from “discriminating” in this manner. I am of the opinion that the court decision was not considered thoroughly and did not take these kinds of implications into account; I furthermore expect many more thorny social issues will be coming to the fore. Another thought: What about your possible exposure to cannabis (users) by those who in actual fact grew it illegally (perhaps right under your nose, pardon the pun), and you did not know about it? Actually, you cannot miss the smell of cannabis – that sweet odour is too unique – but if earlier someone went about growing (and using) it on the sly and you never knew about it: The court’s decision will probably allow those people to “come out”. Will you terminate your association with such a person?